Carbon Monoxide (CO) is an invisible, odorless, tasteless gas produced by incomplete combustion. Any fuel burning appliance, vehicle, tool or other device has the potential to produce dangerous levels of Carbon Monoxide gas. See Table 1 for a list of some of the items that produce CO. It kills thousands of people each year, and injures many more. 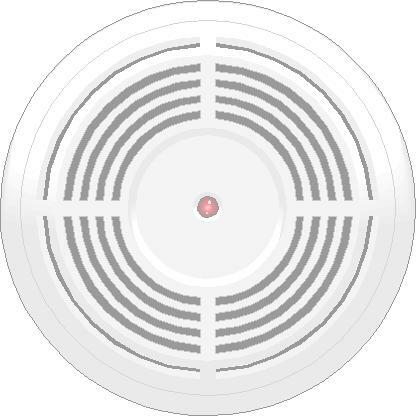 Since you cannot see, taste, or smell CO, a Carbon Monoxide detector is the only way to alert you to increasingly dangerous levels of CO before tragedy strikes. Carbon Monoxide, like Oxygen, enters the body through the lungs during the normal breathing process. However, CO competes with oxygen. CO combines with red blood cells approximately 300 times easier than oxygen does. Therefore, it blocks the oxygen from your body over a period of time and if concentrations get high enough, CO can kill you in minutes. It takes approximately 5 hours for the levels of CO attached to the Blood cells to be reduced to 50%. The symptoms vary widely based upon exposure levels, duration and the general health and age of the individual. You will notice one recurring theme that is most significant in recognizing Carbon Monoxide poisoning. That is the presence of a headache, dizziness and nausea. This flu like symptom is often mistaken for a real case of the flue and can result in a delayed or misdiagnosed treatment. Table 2 will show some of the breakdowns for CO symptoms. Here is a breakdown of CO Parts per Million (PPM) and their effect upon a typical adult male. 35 PPM 8 hours The maximum allowed exposure for a continuous exposure in any 8-hour period. 400 PPM 1-2 hours Serious headache - other symptoms intensify. Life threatening after 3 hours. 800 PPM 45 minutes Dizziness, nausea and convulsions. Unconscious within 2 hours. Death within 2-3 hours. 12,800 PPM 1-3 minutes Death. On today's market there are many different types and brands of Carbon Monoxide detectors. However, they can generally be characterized by whether they operate on household current or batteries. Detectors using household current typically use some type of solid-state sensor, which purges itself and resamples for CO. Detectors powered by batteries typically use a passive sensor that reacts to the prolonged exposure to Carbon Monoxide gas. Table 3 describes some of the Advantages/Disadvantages of both types of detectors. Table 4 will show some of the causes and preventive actions. Running gas powered equipment or automobiles in a home or garage. Gas powered equipment or vehicles should never be operated within a home or garage - even if the garage door is open. Since most homes are typically at a lower pressure relative to outside air, the gas can actually be drawn into the home.